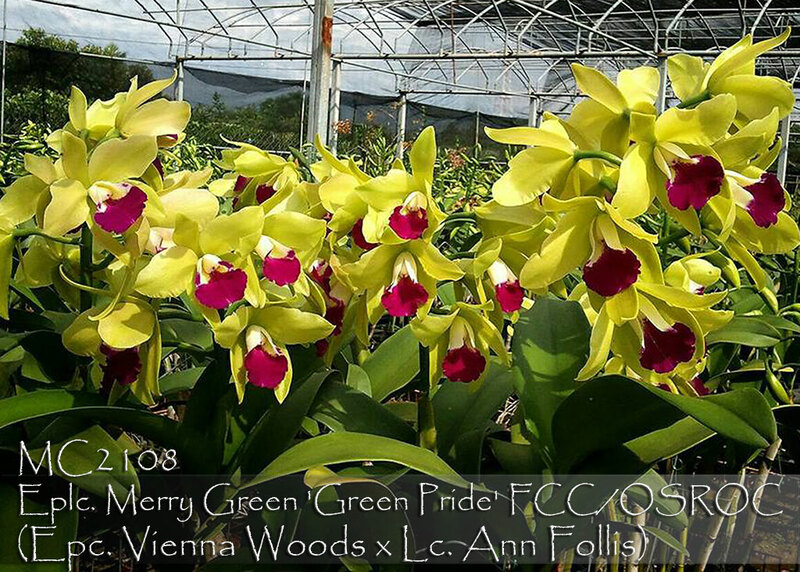 Recognized with a highly-coveted FCC from the Orchid Society of the Republic of China, this amazing green Cattleya is a welcome summer bloomer ! Carrying a delightful fragrance, its Vienna Woods pod parent has kept the plant growth very compact with each inflorescence capable of producing five heavy substance 5" green flowers highlighted with an electric contrasting fuchsia-pink lip. For the ultimate in show and fragrance, this is Highly Recommended !